Property owners have received a benefit assessment ballot to fund a new Vector Control District. Many are interested in knowing why it has arrived now, what it’s about, what’s wrong with the current program, and why now, especially with our lousy economy? The current program was started from the county’s general fund in 2005 to abate West Nile virus activity. Because of cuts, today the program has limited disease surveillance and complaint responses to mosquito bites only. It is recommended for elimination from the general fund to help balance the county’s budget deficit and probably will be discontinued. It is coincidental this benefit assessment is ready for approval now; it required two years of preparation for ballot presentation. As of 2008 only two birds were positive for West Nile. Nevertheless, West Nile must be taken seriously because it can be very devastating, particularly to children and seniors. Moreover, we have had several cases of tick-borne Lyme disease in 2008 and it appears to be an “emerging” disease in the county. We need to be prepared before an outbreak occurs. It is very difficult to predict the combination of disease agents, vectors, and hosts that result in outbreaks. A sobering perspective is disease activity in the state. For 2008, a positive test for West Nile was found in 2001 groups of mosquitoes, 2,530 dead birds, 32 horses (17 deaths), 440 humans (15 deaths), 584 sentinel chickens, and 32 dead squirrels. For Lyme disease cases reported to the State Health Department, more than 900 lab-positive cases were reported in 2006; and one lab alone reported more than 1,000 positive cases in 2007. This assessment would fund continued and improved services for mosquitoes, other vectors, and disease control. SLO County, with a population of more than 269,000, is one of the last California counties without a full-time and year-around program! If this assessment fails, it is unknown when another effort would occur. The county is unlikely to spend funds to revisit the issue. If a new vectored disease arrives, it could spread rapidly before a new program could be started. Approval insures continuity of a Vector Control District. Also, with assessment funding, monies may only be used for the district and cannot be used or redirected by any government entity. The program has a strong education component that includes how to: 1) reduce mosquito and tick habitats around homes, 2) protect one’s self and children from vector bites and disease, and, 3) recognize symptoms of the diseases. West Nile and Lyme disease are confused sometimes with fibromyalgia and chronic fatigue syndrome. With Lyme disease, arthritis may result and be treated but the disease is often not diagnosed; months may go by with the disease progressing before diagnosis. The program includes outreach, brochures, fact sheets, and public service announcements. 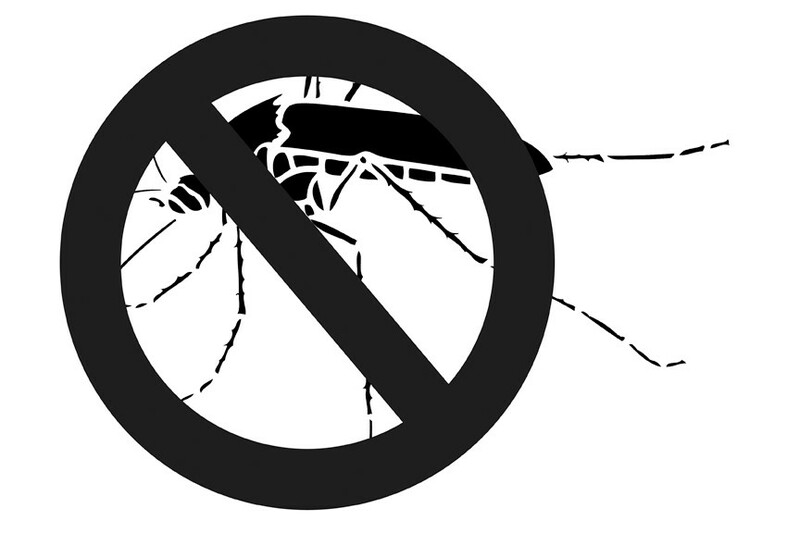 Increased services include: vector identification and testing for vector-borne pathogens and diseases in mosquitoes, ticks, birds, and rodents; specific surveillance and actions against mosquitoes, and inspections of mosquito habitats. Immature mosquito populations will be controlled with the “safe” biocontrol agent Bacillus thuringiensis israelenesis, known as Bti, a naturally-occurring ground bacterium that humans have been in contact with for eons. Bti is harmless to humans and beneficial insects. Bti has been used since 1984. Bti has an unblemished safety record, is not genetically modified, and does not cross pollinate. Bti is recommended by the American Medical Association and the Center for Disease Control. Mosquito-eating fish programs would be established to control immature mosquitoes. Then, if mosquito-vectored disease outbreaks occur, Bti and fish programs can be used immediately. This can reduce chemical spraying of adult mosquitoes and put residents, pets and horses, and the environment at less exposure to chemical pesticides. The program wouldn’t control yellow jackets, fire ants, and Africanized honey bees. Response to these pests will be “situation dependent” in cooperation with the Department of Agriculture. Also, the correct place for a Vector Control Program is in the Department of Public Health. The SLO Department of Agriculture is vested in pesticide use enforcement, pest prevention (includes weeds), promotion of pest management, product quality, resources, commodity shipping and receiving, and weights and measures—a mighty full plate! The yearly cost for a single-residence property is $9.80 with an inflationary increase capped at 3 percent. Other properties are proportions of this, based on density and calculated use of benefits. For example, the total assessment of a 10-unit apartment complex is $38.22 while a condo unit would pay $6.28 and a business would pay $4.28 per quarter acre. Irrigated agriculture would pay 4 cents an acre, and dry agriculture and forest land would pay 2 cents per acre. The eastern county would have reduced rates based on their estimated need for less services; the yearly cost for a single-family residence in Pozo would be $4.84. So readers, please support this! It is a small price to pay to reduce the chances of vector-borne diseases afflicting humans, pets (dogs and cats), and horses in our county. Compared to what we have now, this proposed Vector Control District offers far better protection, at a bargain price, for the people of San Luis Obispo County; particularly for our children, seniors, and our animal friends. Please vote “Yes” and mail in your ballot! David H. Akey is a retired research entomologist with a Ph.D. in entomology, who has held research positions in three state governments and the U.S. Department Agriculture-Agricultural Research Service during his 42-year career. Contact him via the editor at econnolly@newtimesslo.com.